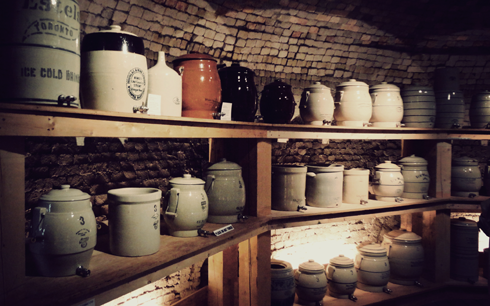 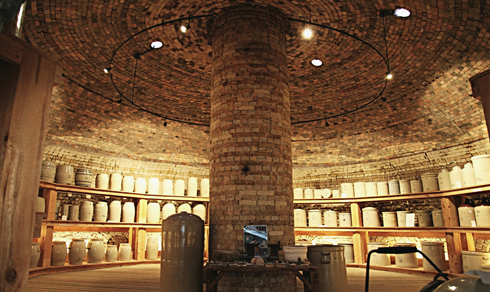 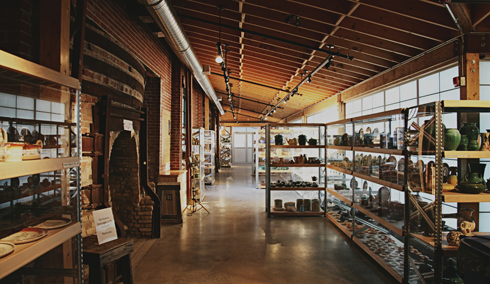 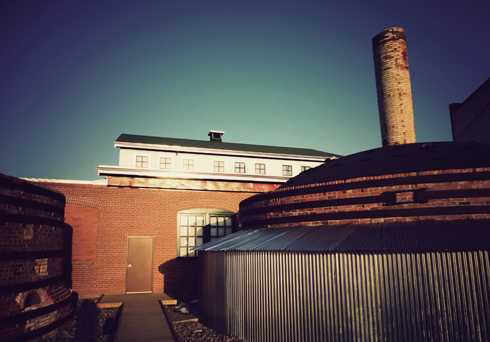 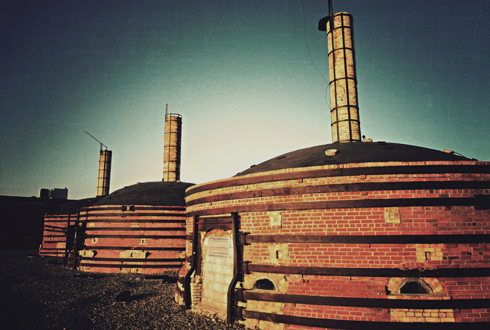 Located in the historic clay district of Medicine Hat, Alberta you'll find the Medalta Potteries National Historic Site. 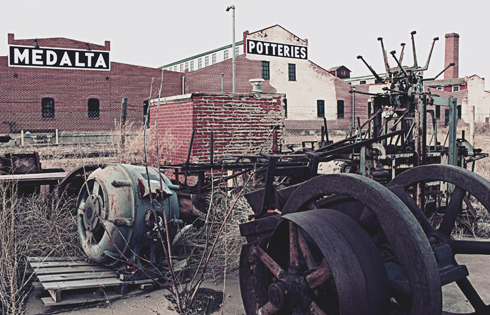 Complete with a museum, market, classroom, studio, gallery, and event space, Medalta is one of southeastern Alberta's most culturally significant landmarks. 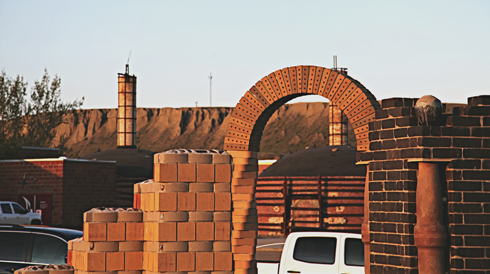 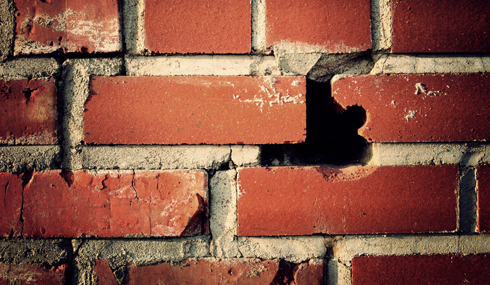 With an ample supply of clay and natural gas, Medicine Hat, Alberta was quickly recognized as an ideal place for brick, tile, stoneware, and pottery production in the early 20th century. 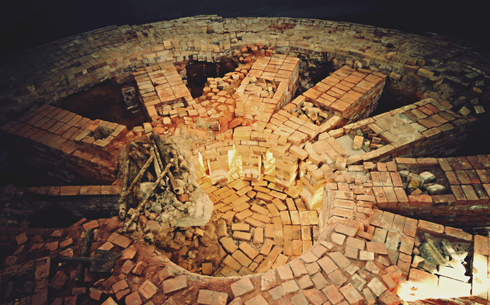 The low cost of energy was ideal for firing the kilns, and the high quality of clay in the area proved useful in numerous commercial applications. 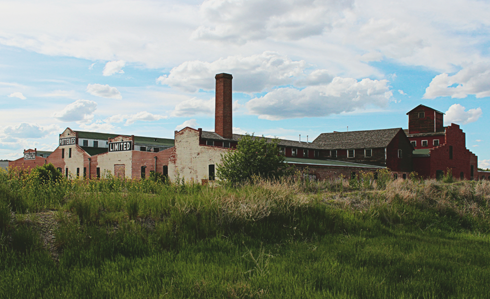 In 1912 the Medicine Hat Pottery Company was founded, but it changed hands in 1915 and the factory underwent renovation. 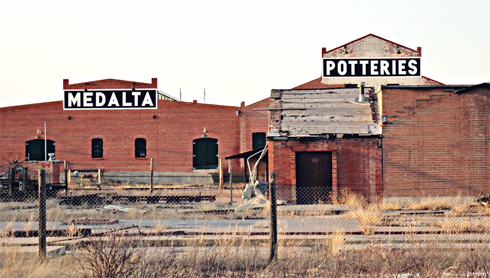 Production resumed in 1916 as Medalta Stoneware Ltd. and by 1924 the company had reorganized again, finally becoming Medalta Potteries. 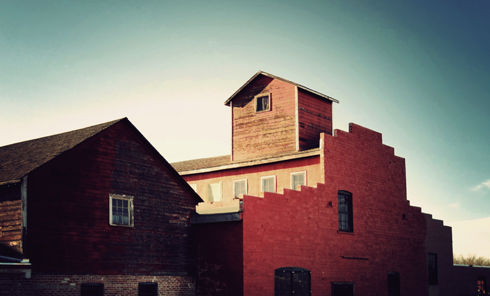 The name came from simply combining the abbreviations of Medicine Hat (Med) and Alberta (Alta). 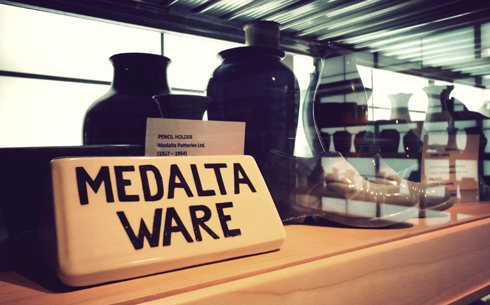 By this time Medalta had been shipping its stoneware crocks, jugs, and bowls all across the country, and by the end of the 1920s they were producing 75% of the pottery in Canada. 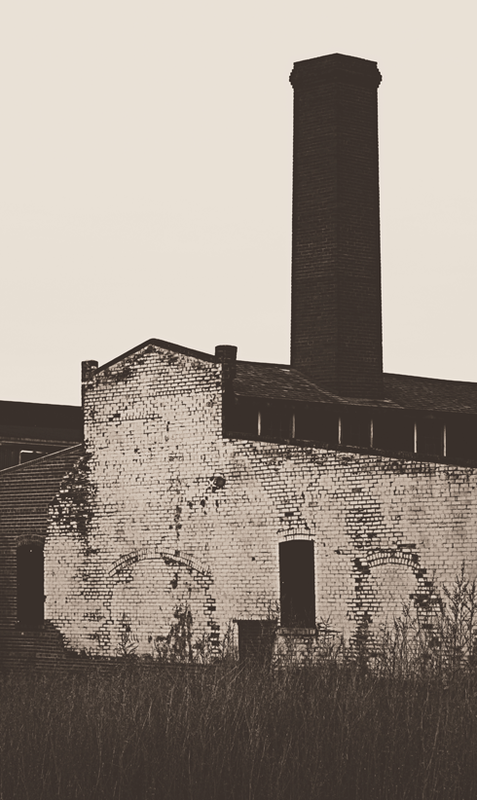 However, production plummeted after the stock market crash in 1929 and the company struggled to stay afloat. 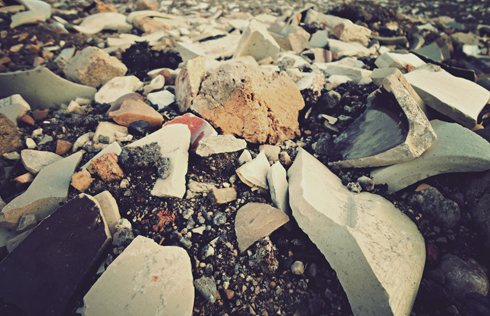 The war effort from 1939-45 revived the industry as imports from Europe and Japan stopped, and the army demanded record amounts of stoneware. 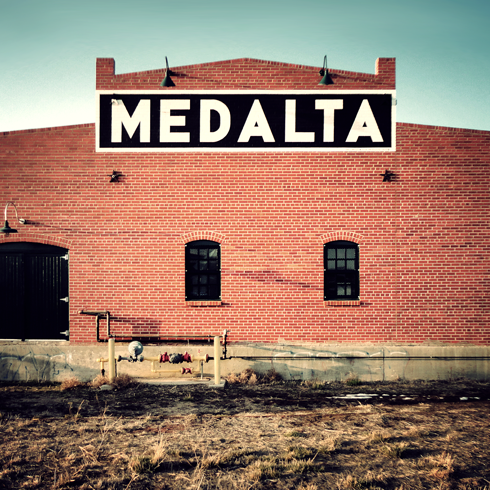 Medalta employed a large female workforce during this time, and even employed German POWs from Camp #132. 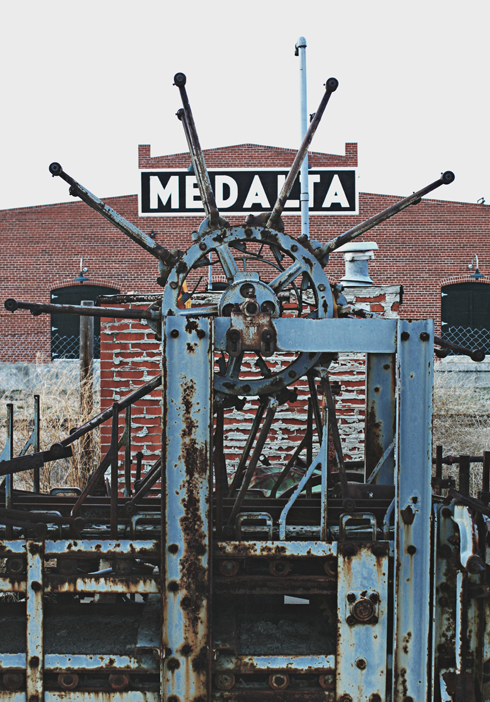 The end of the 1940s saw Medalta struggle with increased production costs and renewed competition from imports. 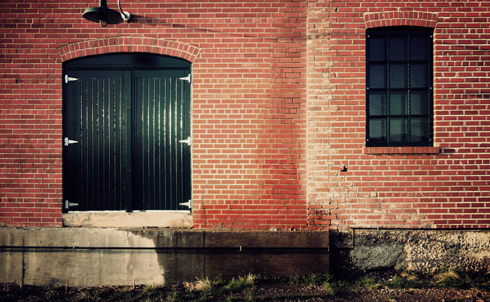 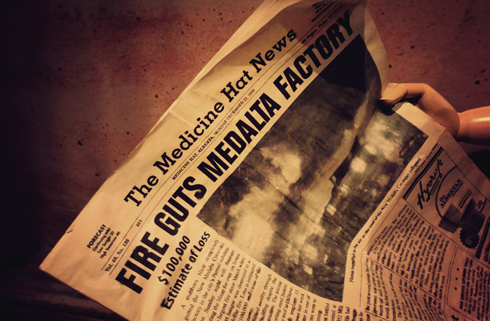 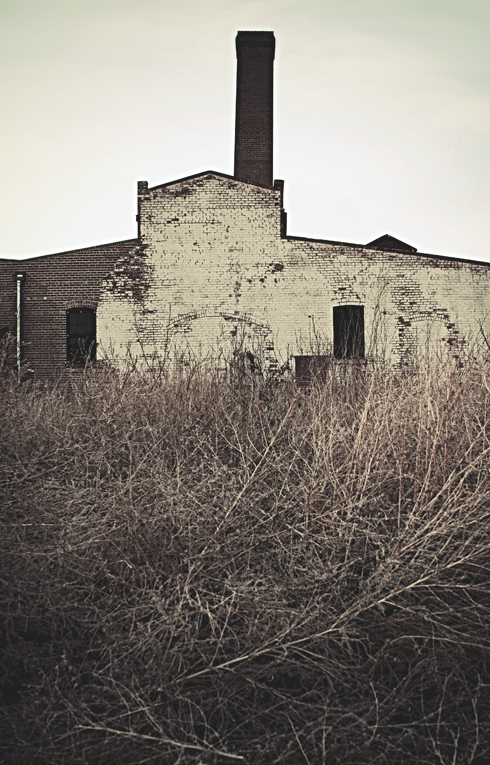 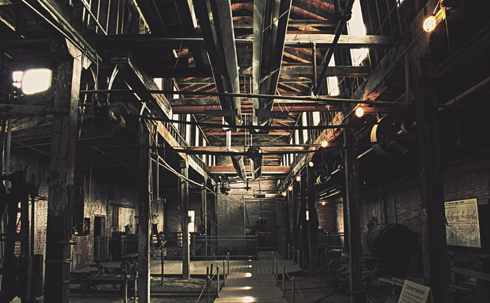 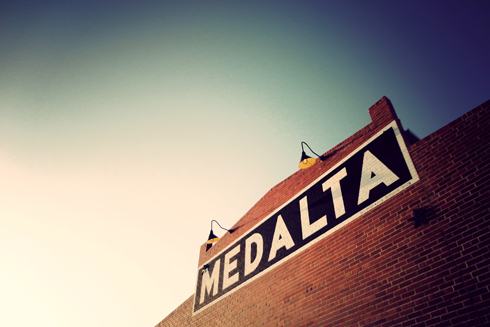 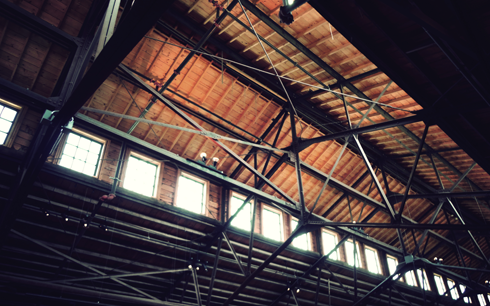 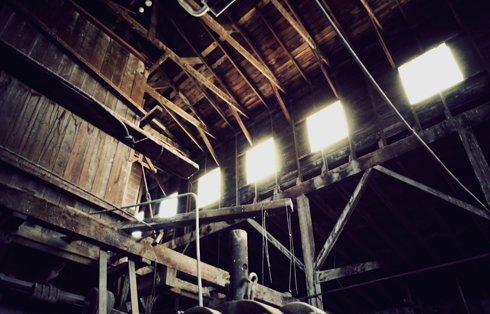 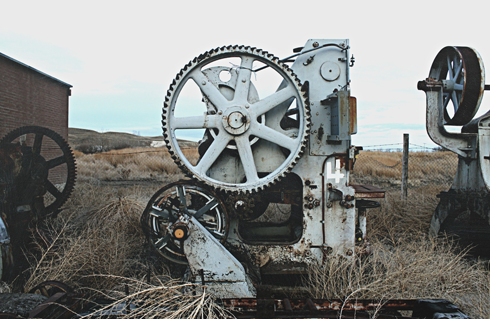 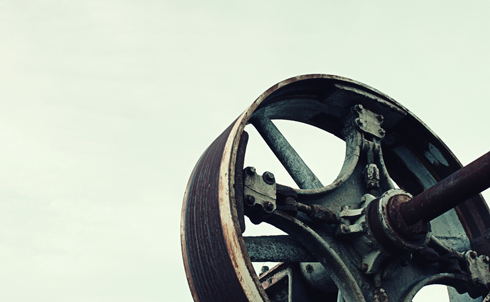 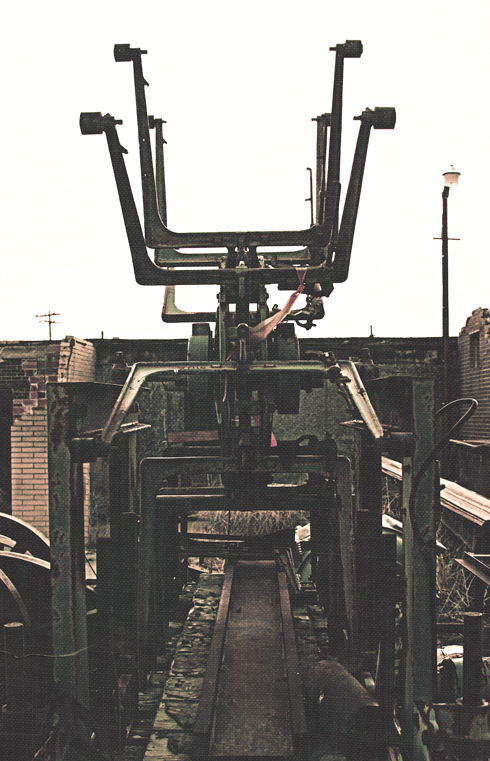 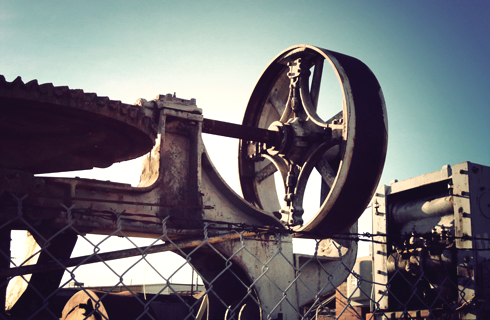 By 1954 the company officially disbanded, but the history of Medalta has since remained a great source of local pride. 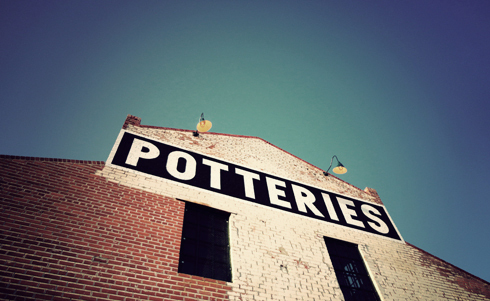 Stoneware produced by the company remains highly collectible, and pieces produced for the railways, military, and restaurants are highly sought after. 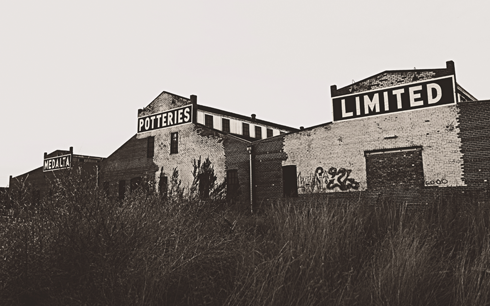 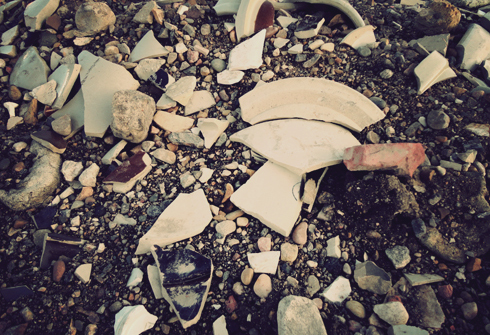 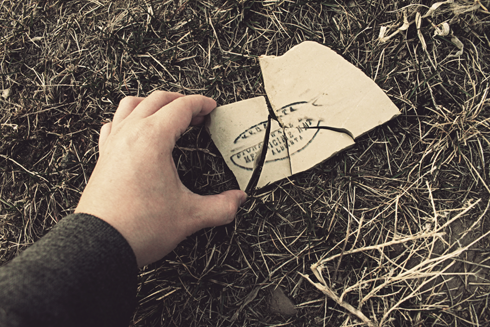 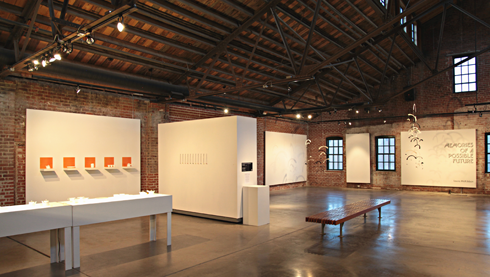 This legacy, and the ceramic arts, are still celebrated at Medalta to this day. 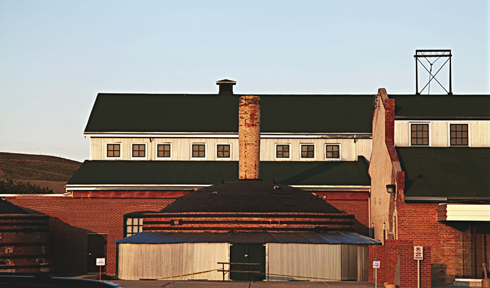 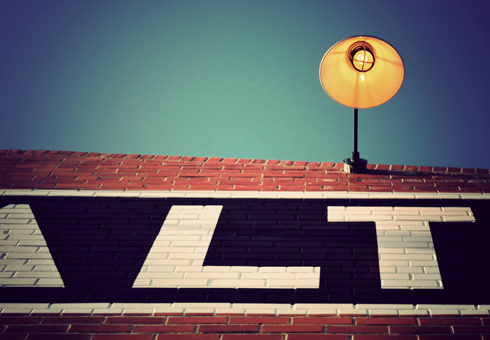 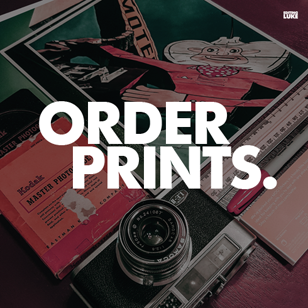 Explore more of Medicine Hat, Alberta's historic clay district here. 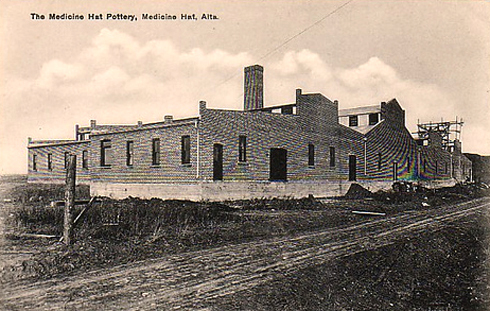 Medicine Hat Pottery sometime between 1912 - 1916.